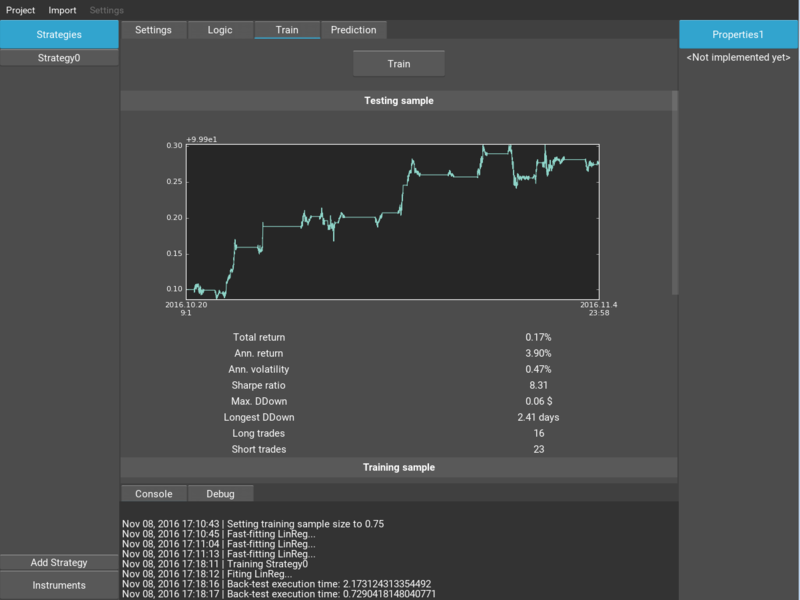 A connection to Metatrader 5 as well direct access to the Oanda v20 API. A tickdatabase store, so that not all historical data has to be kept in memory. This will allow you to import many symbols concurrently. You can now create signals based on hundreds of symbols. The strategy optimization tool has received an update. You can now also search for better symbols/instruments. 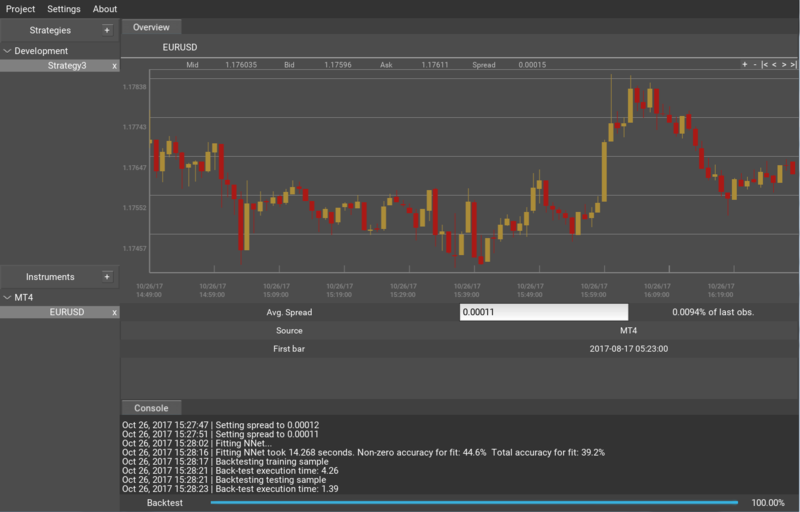 If you have a strategy that takes EURUSD as an input to the predictions, the optimizer can find a better symbol (e.g. AUDUSD) to create the prediction on. Additional data sources. For now only prices can be included in the signal creation. In the future I also plan to include other data sources. These will include sentiment data, fundamental data, and much more. 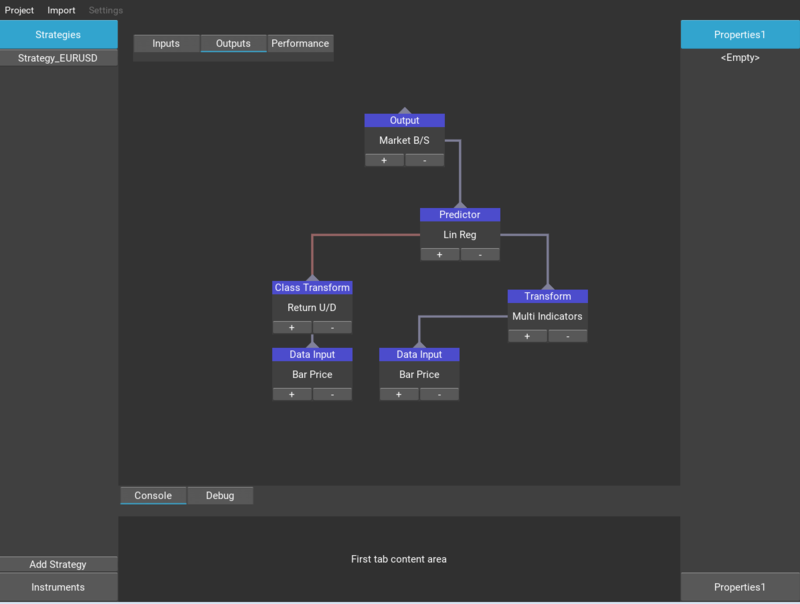 Add custom strategy logic nodes: Some strategies require logic that is not implemented with Algominr. 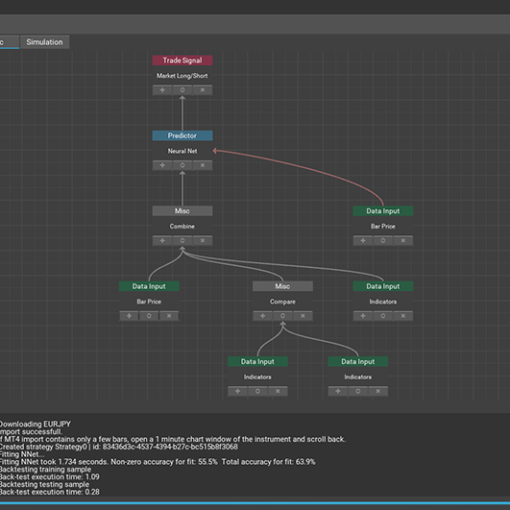 In the future a custom logic node will support programming in python. 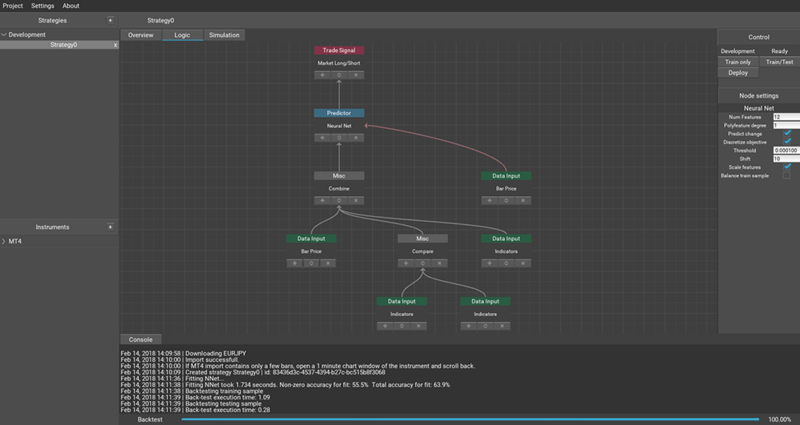 More logic modules: Pairs trading, market making, arbitrage, etc. If you decide to purchase Algominr 1.2.6 now, you will get all updates for free. Thanks Chris. I look forward in reviewing your software and hope to have a happy experience. Thanks for all your wok in this project and hope you manage to work full time on your software.